Creamy pink, 4-6 in., star-shaped flowers with vivid pink stripes stand out in the early summer garden. Reblooms on new growth in late summer. 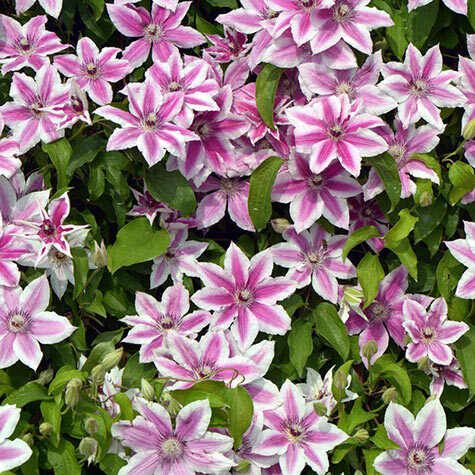 Growing 6-10 ft. tall, this compact clematis can be grown in the garden or a patio container. Its showy flowers and rich green, lobed leaves provide vertical interest—and, when planted near a fence or trellis, create a privacy screen. A manageable vine, Carnaby Clematis grows best when planted in partial shade in well-drained, humus-enriched soil. While slow to establish, it's fast-growing once established. Deer tend to avoid. Potted. Zones 4-11. Depth: Prefers a situation where tops are in the sun and roots are shaded by either low plants or mulch to keep the soil moist and cool. Foliage: Rich green lobed leaves. Flower Form: 4 - 6" across, star shaped flowers with pointed sepals and showy anthers in each center. 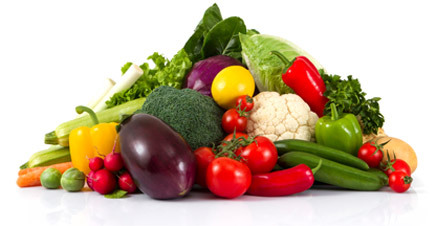 Soil Requirements: Prefers well drained humus enriched. Growth Rate: Slow to establish, fast there after. Comments: A compact and colorful climber with striped, 3-6" blooms. The creamy pink single blooms have vivid pink stripes and dark stamens. Provides dramatic color when it blooms in early to midsummer and has a smaller second bloom in late summer. Grows 6-10' tall. Plant in partial shade. Ships in 2" pot. Zones 4-11. Clematis 'Carnaby'. Deer tend to avoid.